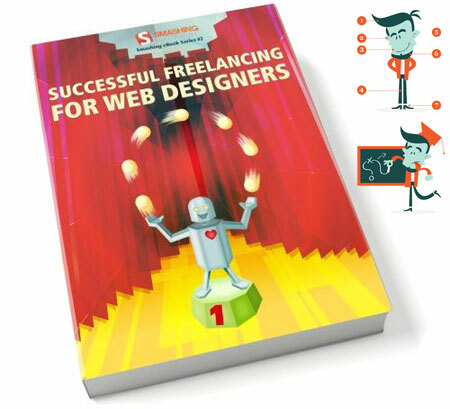 Just a quick post to let you all know Smashing Magazine have just released the latest edition in their excellent eBook series entitled Successful Freelancing for Web Designers. It’s a “best of” compilation of articles about professional freelancing that have been published on Smashing Magazine and Noupe in 2009 and 2010. Not only does this eBook cover quite literally everything you’d ever need to know about working as a freelance web designer in articles from authors like Paul Boag, Cameron Chapman and Alyssa Gregory. Check out the book contents, then head on over to Smashing Magazine to download a sample and order your own copy!